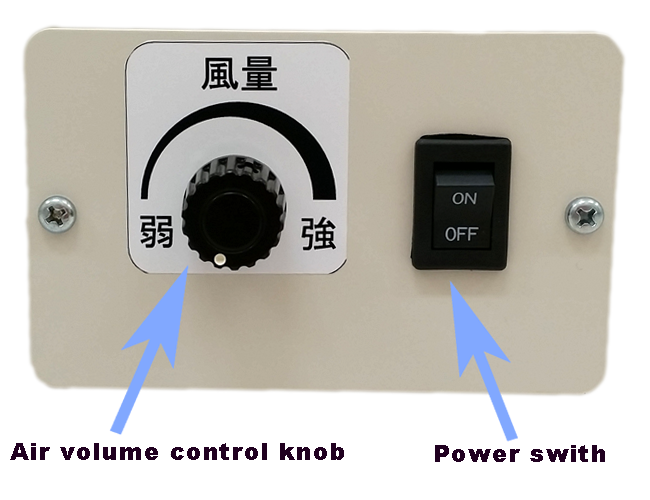 It does not have to worry about the power supply of the installation site AC 100V ~ 240V 50 / 60Hz power supply adopted! Dramatic weight saving is realized by reviewing the appearance structure and fan motor! To increase the replacement time of the HEPA filter by taking large dust and to protect the fan motor, the resin molded saran net is equipped as standard! By adjusting the air volume control knob, you can freely adjust the air volume within the range from the maximum to the minimum. *2 Stainless steel plate is also available. ★　The values stated are representative values and do not guarantee the variation.